This fabulous tour of Ireland includes the most scenic and interesting parts of this truly beautiful island. 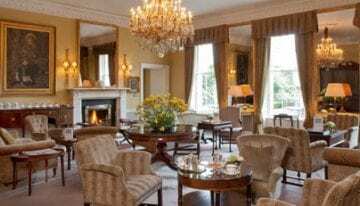 Stay in some of Ireland’s most charming hotels and enjoy delicious meals and the warm and friendly hospitality that is country-wide. Visit the Rock of Cashel, Youghal, Cork, Blarney Castle, the Beara Peninsula, the famed Ring of Kerry, the Dingle Peninsula, the Cliffs of Moher & the Burren, the captivating west coast region of Connemara, and, of course, the wonderful city of Dublin. Finish the tour via the Wicklow Mountains, Co Kildare and Co Wexford. The trip will be at a leisurely pace giving you plenty of time to explore and relax. 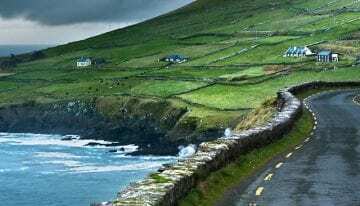 Ireland is a place to explore slowly, roaming through agricultural landscapes scattered with farmhouses, or enjoying a spirited drive across the mountain roads, or along the endlessly indented coastline. Discover traces of culture established long before Christianity, alongside the cosmopolitan energy of the towns and cities. Take the Stena Line ferry from Fishguard to Rosslare, departing at 14.30 (check timings). The crossing takes just 3 1/2 hours. A short drive of about 75 minutes to our first hotel and stay overnight in a stunning Georgian manor. 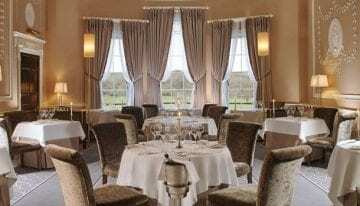 This country house hotel is also home to one of Ireland’s best chefs, so dinner is a real treat in the Michelin-starred restaurant. Drive to Kilkenny, Ireland’s only inland city, and also one of its finest, brimming with medieval treasures. Head to the Rock of Cashel – Ireland’s most fascinating ecclesiastical site, a lofty citadel that soars above the surrounding vale. Then it’s south to Cahir with its eponymous castle and the Swiss Cottage. Drive over The Vee, a fabulous road over the hills to Lismore. From there drive alongside the River Blackwater to Youghal, on the south coast. There is an optional lunch stop at the famed hotel and cookery school at Ballymaloe. Continue to Cork and visit the renowned Blarney Castle. Stay overnight in a beautiful hotel in Cork. A wonderful drive down to Kinsale and then along the coast to Timoleague and Clonakilty. Visit the Drombeg Stone Circle and continue to Skibbereen, Ireland’s most southerly town, and see the Heritage Centre with its exhibition commemorating the tragic Great Famine. Continue to Ballydehob and Bantry and tour the magnificent Bantry House and Museum. Drive around Bantry Bay to Glengarrif and then drive the spectacular Healy Pass and on to Kenmare. Then it’s over Moll’s Gap and Ladies View to Killarney. Stay in a beautiful five-star hotel for two nights. 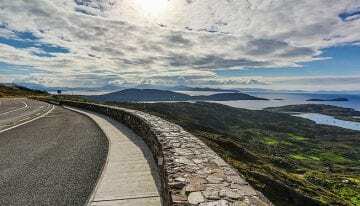 Drive the stunning and famed Ring of Kerry. 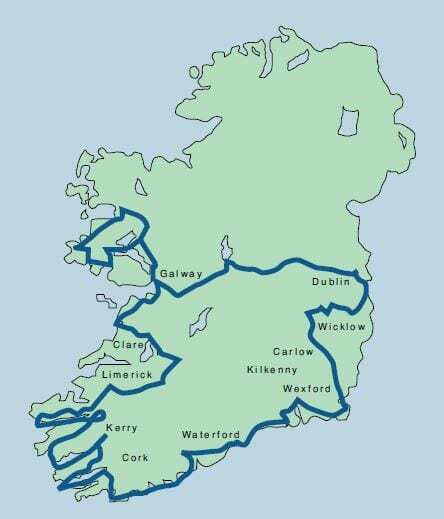 This is an very scenic route around the Iveragh peninsula with wonderful coastal and mountain scenery, as well as a warm Gulf Stream climate. 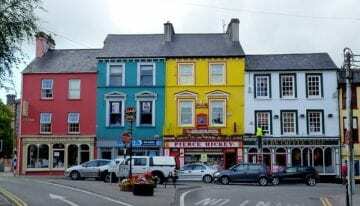 Visit the lovely town of Kenmare, a colourful, friendly place and perfect place to while away some time. 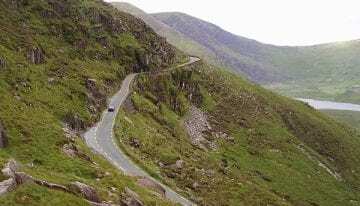 There is an optional circle to drive to Glengarriff and then over the Healy Pass and back to Kenmare. Continue down to Cahersiveen, and return over the mountains of Macgilycuddy’s Reeks. Take a tour of the splendid Muckross House. Return to the hotel in Killarney. Head down to the Dingle Peninsula. Dingle is a lovely town to spend a while. 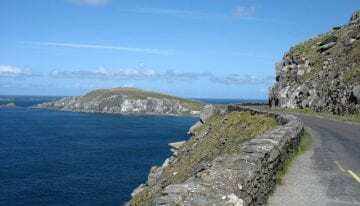 Explore the Dingle Peninsula and the exceptionally scenic route to Slea Head. Head back over the Connor Pass and then travel north to Tralee. Drive over the mountains to Co Limerick and stay in a beautiful old coaching inn/hotel in one of Ireland’s prettiest villages, Adare. Leave Adare and head onto Limerick, an attractive and lively city, also renowned as a cultural centre. Visit Bunratty Castle, and then drive to the sea at Miltown Malbay and then north, hugging the coastline to see the Cliffs of Moher, rising 213 metres from the sea below and stretching for five miles along the Clare coast. Further north is the Burren National Park, a vast plateau of limestone, which supports the vast majority of Ireland native flora and fauna. Stay in a beautiful manor house hotel for the next three nights, located on the coast near Letterfrack in Connemara. 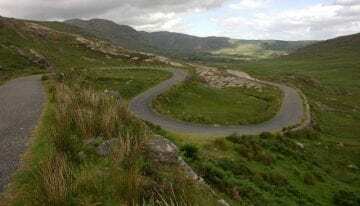 Enjoy a circular drive of Connemara and Co Galway with its beautiful coastal roads. It’s a land of panoramic views, rivers, lakes, endless stone walls, myths and legends. Sparsely populated, Connemara has been by-passed by mass tourism, yet it is much-loved by poets, artists and writers. There is an optional lunch stop at the lovely Ballnahinch Castle, and a chance to stroll around the lovely small town of Clifden. Another day to explore the north of Co Galway. The route takes you past Doo Lough, with its memorial to those who perished in the Famine, and on to Louisburgh. Then skirt along the coast to the beautiful town of Westport, with its octagonal central area and lime tree-lined central canal. 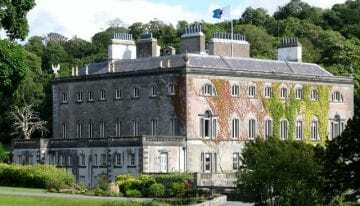 Visit the wonderful Westport House, just to the west of the town. Then head back to the manor hotel. Leave Connemara and Galway and head across the centre of Ireland. Visit the Lodge Park House, Garden & Steam Museum at Straffan on the way to Dublin. 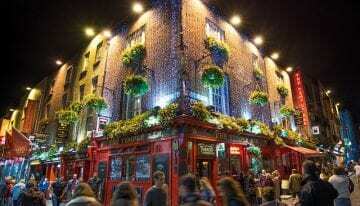 Spend the next two nights in Dublin’s finest hotel in the centre of the city on the beautiful St Stephen’s Green. Stroll along the banks of the Liffey and indulge in a pint or two of the black stuff (Guinness). Dinner is not included on either evening as there are so many wonderful places to eat in Dublin and enjoy the vibrant nightlife. 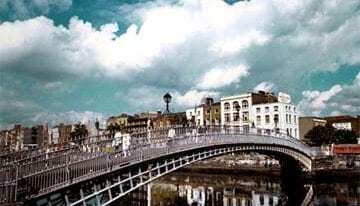 Spend the day exploring the delights of Dublin – magnificent architecture, excellent shopping, lively entertainment and cultural events, superb museums and galleries and a strong sense of history. There’s much to see, including the castle, National Gallery, Temple Bar and Trinity College. But no visit to Dublin would be complete with a visit to the Guinness Hop Store, birthplace of Dublin’s (and Ireland’s) most famous product. 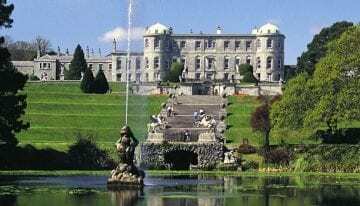 Leave Dublin and drive south to Powerscourt House and Gardens, one of the most superb gardens in Europe. Drive through the secluded Wicklow Mountains to the Sally Gap and visit Glendalough, a monastic settlement founded in the 6th century. There is also a visit to the Irish National Stud and Japanese Gardens near Kildare. Stay overnight at a beautiful country house hotel on the edge of the Wicklow Mountains. Enjoy a lovely day meandering over the Wicklow Mountains again to Avoca and Arklow. Head south to Wexford and visit the Irish National Heritage Park. Spend the final night at a delightful hotel on the water near Wexford. It’s an early start to drive the 20 minutes to Rosslare to catch the ferry back to Wales at 09.00. Arrive in Fishguard at 12.30 and depart for home. Travel to Ireland: Return ferry crossing from Fishguard, Wales to Rosslare, Ireland can be booked with Stena Line. Each person must have a passport (and any necessary visas for non-EU passport holders) valid for Ireland. All passports must be valid for six months after the end of the tour. You will also need your vehicle registration documents, driving licence (a photo-card licence or international permit is best), and an international insurance green card. Please check with your travel and motor insurers that you are covered for travel in Ireland. You are also required to carry a warning triangle, first-aid kit, two fluorescent jackets, set of replacement bulbs and a national identification sticker. The most important requirement is that you take pleasure in motoring through fabulous scenery, and relish individual, character hotels.